Giant living anemones are providing a colony of clownfish at Bristol Aquarium with some luxurious new accommodation. 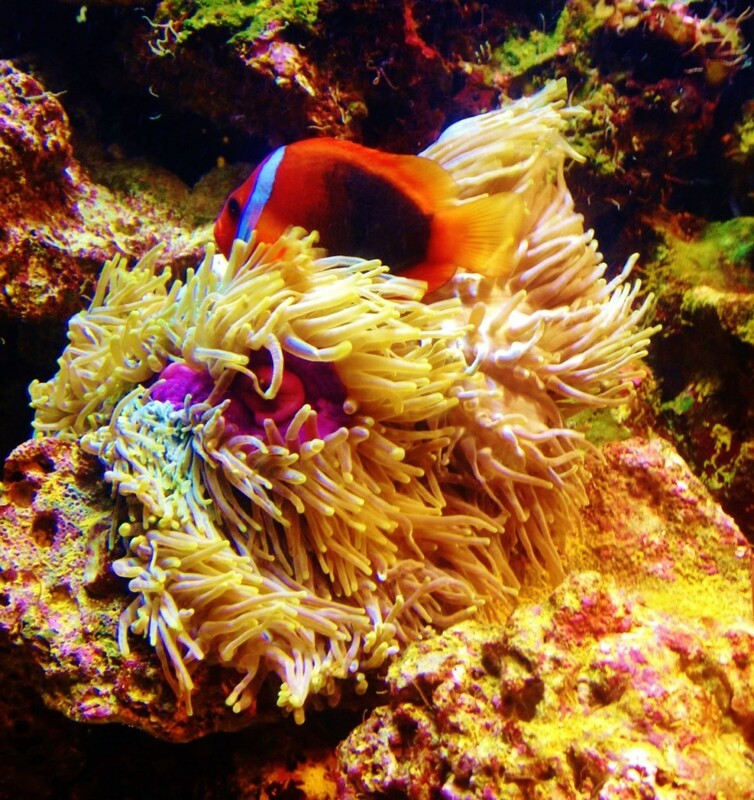 The fish, which were made famous by the original Finding Nemo film, live and breed among the stinging tentacles of a variety of tropical sea anemone species. Far from being put off by the anemones’ stinging tentacles, clownfish use them as a ‘nest’ both to lay their eggs in and to raise their young. “In the wild it’s usually the clownfish with the largest and healthiest anemone that have the most babies,” said Bristol Aquarium’s Olivia Orchart. “We have added more than a dozen different anemones to their display, including the so-called magnificent sea anemone which can grow up to a metre in diameter! “There are also 10 new bubble tip anemones along with a large number of bright yellow malu anemones. “Hopefully the massive choice of accommodation will encourage the clownfish to pair off and start families of their own,” Olivia added. 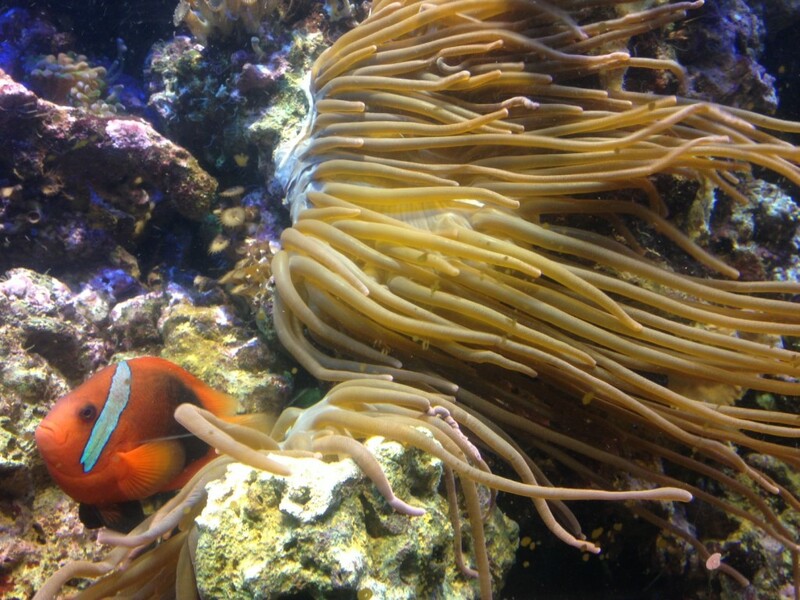 Clownfish make their home among the sea anemones’ stinging tentacles which protect them from predators. In return it’s thought they help keep the anemone clean by picking up scraps of food and other debris. The clownfish survive among the venomous tentacles because they cover their bodies with a layer of mucous secreted by the anemone. The anemone thinks the clownfish is another tentacle and doesn’t sting it! During breeding the clownfish lay their eggs close to the host anemone. Once laid the eggs are cared for by the male who will often encourage the anemone’s tentacles to provide a protective canopy above the developing fish. Clownfish fathers are so protective that they have even been known to attack divers who venture too close to their young! Issued by Bristol Aquarium. For more information contact Hannah Worrall or Olivia Orchart on 0117 929 8929.